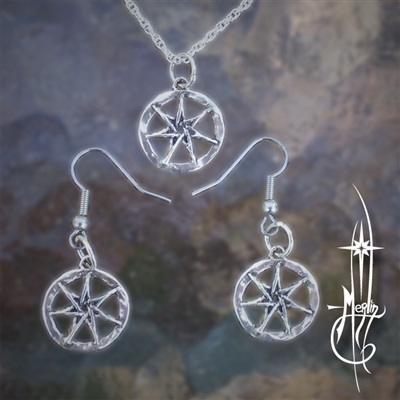 The Faery Star Amulet with earrings! this includes a chain for the pendant. World of Faerie so they may recognize each other. framed in a circle and including a chain with matching earrings.